THIS IS AN INDOOR/OUTDOOR FACILITY! ATTENTION, NEW REGULATION AS OF FEBRUARY 2015! Everyone can enter through the same entrance as last year, but there is a brand new staging area thanks to Paladin's SWAT schools. When you enter go past guard desk to main hallway and to the left down the main hallway. Trust us - you will notice the new warehouse entrance and staging areas. We must inform you that due to the nature of Paladin's primary business, homeland security/military/law enforcement training, their insurance carrier has insisted on an age restriction on any events that occur on the property and in the building. As of right now the age, as stated, is to be a minimum of 14 years old at the time of the class/event. We fully understand the hardship this cause and appreciate your patience while we work to address this, and remove any and all restrictions to age. We will be posting updates throughout the week. We look forward to having all of our loyal players and staff back for the best airsoft experience possible. Please refer to out facebook page for all updates an information! A season ago, Hank Steinbrenner accuses the Yankees of not being hungry enough, a claim that Bombers third baseman Alex Rodriguez (below) can't flatly deny. TAMPA - From all corners of the Yankee clubhouse this spring training came the vows, in one form or another, of players seeking redemption. Whether it was A.J. Burnett saying it was up to him to silence his critics, a slimmed-down Alex Rodriguez calling his recent 30-home run seasons "unacceptable," or Mark Teixeira reprogramming his famously robotic regimen in an effort to end his annual April miseries, the Yankees have never had as much to prove as they do this season. Suddenly you couldn't help thinking that maybe Hank Steinbrenner wasn't so wrong, after all. Everybody laughed when Hank kicked off spring training by accusing the Yankees of not being hungry enough last season,accused them of caring a little too much about "building mansions." It had to be a silly notion, right? Joe Girardi's club reached the ALCS last year, so it wasn't as if it mailed in the 2010 season. Either way, you didn't hear this type of talk last spring because, well, why else? The Yankees were coming off a championship season and, sure, they wanted to repeat, but maybe it's true that they didn't have quite the same edge. Who is to say that they weren't talented enough to reach the postseason on auto-pilot? In August and September, remember, they couldn't seem to decide which was more important, winning the race for the AL East with the Rays or getting to October healthy and rested. In retrospect, that mentality may have caught up with them in the ALCS. Last week, A-Rod was talking about the sense he got throughout spring training that this team is driven by "the bad taste in our mouths" from 2010. When I asked him if that meant Hank Steinbrenner had a point in saying last year's team wasn't hungry enough, A-Rod smiled. "I don't know about that," he said. "I just feel this year there's a sense of urgency here. Just in case he's right we've gotta make sure we come out with a lot of fire this year." That sounded more like a yes than a no, but in any case, what all of this sets up is a season that should define the state of the Yankees, and just how significant the issue of age is for this team. 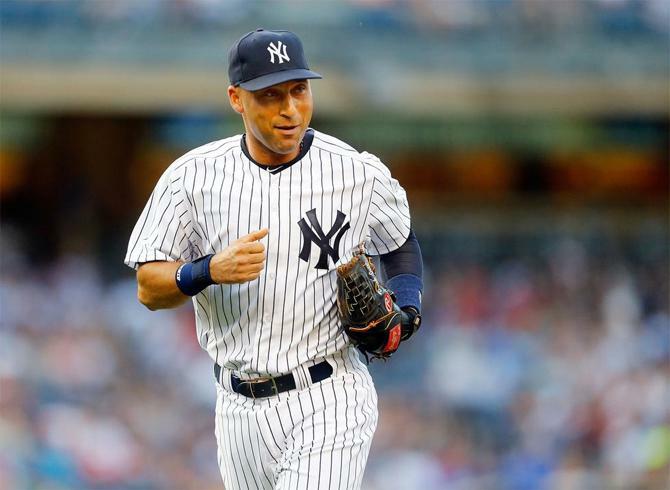 Much of that comes down to A-Rod and Derek Jeter, and whether the Yankees can win with an aging left side of the infield. It didn't look that way down the stretch of a pennant race last season, as Jeter couldn't get the ball out of the infield, A-Rod couldn't get the ball out of the ballpark and both looked old in the field. Both looked revived and refreshed this spring. With a leaner Rodriguez's hip apparently no longer inhibiting either his workout regimen or the explosiveness in his swing, he had a spectacular Grapefruit League season, flashing the type of eye-popping power that had been missing since his hip surgery two years ago. Jeter, meanwhile, made a concession to age for the first time, adopting a no-stride approach at the plate that gives him more time to react to pitches, and as he got comfortable with it this spring, he, too, looked like his old self, slashing line drives to all fields. In addition to redeeming himself for his .270 season, the Yankees captain, who loves proving people wrong, has the added motivation of wanting to stick it to GM Brian Cashman for daring him to leave as a free agent during those surprisingly contentious contract negotiations this past winter. It remains to be seen if their spring-training performance is meaningful, but at least for now the promise of A-Rod and Jeter turning back the clock makes a championship season seem realistic for the Yankees. As a group, the Yankees are motivated, all right. In addition to falling short last year, they have been hearing for weeks, even from their own GM, that they don't match up with theRed Sox in the AL East. And don't think such talk isn't annoying them. 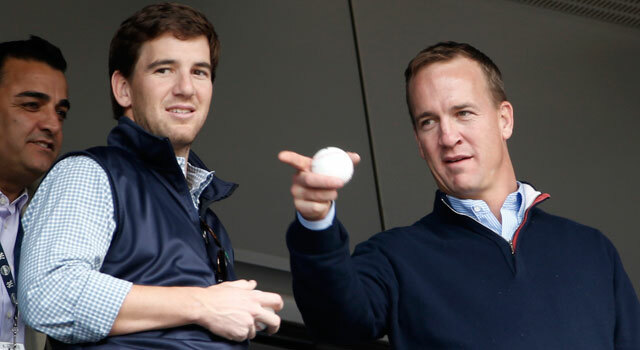 "Why does everybody think their pitching is so much better than ours?" one player asked privately. "I'll put it this way: I think people are looking at the names and assuming way too much. Everybody's worried about our four and five guys, but we're OK there. I don't think (the Red Sox) have an advantage at all." That was the player's way of saying Josh Beckett, John Lackey, and Daisuke Matsuzakahaven't pitched up to their reputations the last couple of years. He may be right about that, but the Yankees still have much to prove in their own starting rotation. Still, you have to figure that Cashman will make a deal for a proven pitcher along the way, and so what this season could really come down to for the Yankees is an attitude. If they are as driven to prove themselves again as it appeared in spring training, they might just render the questions about age irrelevant for at least one more year. And they might wind up proving that Hank Steinbrenner had a point all along. ﻿﻿TURIN, Italy, March 23, 2011—As much as John Denver wanted to leave on a jet plane, Carmelo Anthony wanted out of Denver, desperately. We saw the drama sprawl for months until its roots had a stranglehold on a heap of teams playing right into the coy Anthony’s hand. ﻿At long last, he and fellow beleaguered vet Chauncey Billups were shipped to New York in exchange for half of the residents of the greater Manhattan area. (Unfortunately, though, Howard Stern did not pass his physical.) Melo was in New York City, teamed with Amar’e Stoudemire and basketball’s biggest market. All things were seemingly fulfilled. Now, hop in the DeLorean and fast forward a month. The drama has not subsided. A bevy of cantankerous sportswriters—Chris Mannix and Stephen A. Smith to name a few—are boldly claiming that, despite the massive overhaul, nothing’s changed: the Knicks still have much to figure out. Anthony poured in a whopping six points and zero rebounds against the woeful Detroit Pistons last Friday, looking more indifferent than Ben Affleck. In post-game interviews, Amar’e’s calling out an “unnamed few” who need to get committed. The Knicks still can’t get by the Celtics. And somewhere close to the front office, Isaiah Thomas lurks. ﻿Lost in the overwhelming unrest of the Knicks is the fate of the other team involved in this trade. Indeed, take a close look and you’ll see something that might pique your curiosity: the Denver Nuggets are succeeding. Teams that lose the face of their franchise—not to mention, one of the league’s most versatile scorers—are not supposed to get better, right? Raymond Felton, Wilson Chandler and Danilo Galinari, the former Knicks flipped for Anthony and Billups, say that claim is erroneous. Teamed with Nene, Ty Lawson and J.R. Smith, the Nuggets have taken flight since the trade. Unlike their counterparts in New York, Denver has found a semblance of defense— actually, more like a newfound commitment. According to Aaron J. Lopez of Nuggets.com, in five games since completing a three-team, 13-player trade on Feb. 22, the Nuggets have held the opposition to an average of 91.8 points, compared to 105.2 points in 57 games prior to the trade. The Nuggets have suddenly become stalwart. Guys like Chandler and Aaron Afflalo lock down the perimeter, while Nene, Martin and the legendary Chris “Birdman” Anderson shore up the post. They’ve held stellar teams like Boston to 75 points while rolling through weaker teams like Charlotte by 40 points. It’s not only the defense. With the addition of the new guys, this team is even faster than John Daly. Throw Lawson and Felton on the court together and you have an unlimited torrent of fast breaks, with Nene, Chandler, Galinari, Smith, Afflalo and Martin sprinting their butts off to get down the court and finish. This team is Knick's Head Coach Mike D’Antoni’s Christmas wish. Hilarious, because now D’Antoni is stuck with the other end of the deal (and Chauncey Billups’s decrepit knees). The Nuggets also must surely lead the league in tattoos, including the NBA’s most bizarre tat: Kenyon Martin’s voluptuous pair of lips sitting on his neck, which earns them major street cred throughout the Association. 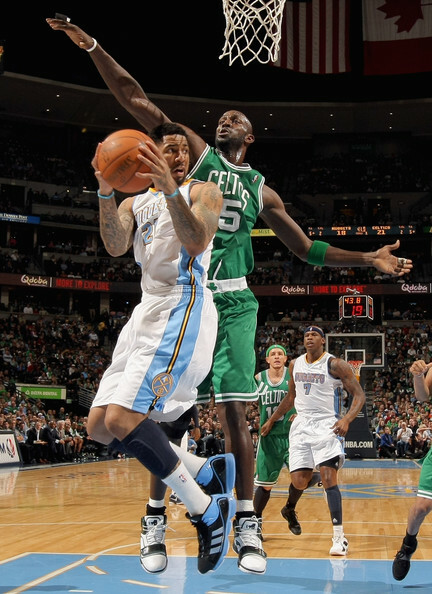 The Nuggets don’t even need uniforms; their skin is covered already. Now, I’m not saying the Nuggets will overtake the Lakers. They’ve lost to good, championship contending teams like Miami and, to a lesser extent, Orlando. But they’ll make the playoffs. They’ll run with the big hitters. And who knows? They might even run past them. Irony is cruel, isn’t it? Read more of Sam Bovard's work at Balls Without Discretion in the Communities at The Washington Times. 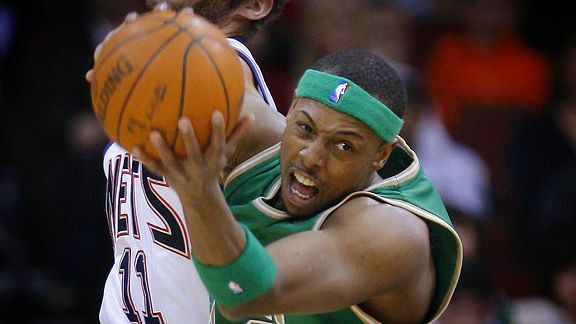 Jim O'Connor/US Presswire Back-to-backs continue to be an Achilles' heel for Paul Pierce and the Celtics. The New Jersey Nets put five players in double figures as Kris Humphries contributed 16 points and 15 rebounds, while Deron Williams added 16 points and nine assists. Ray Allen scored a team-high 19 points for Boston, while Kevin Garnett added 18 more on 9-of-14 shooting that fueled a fast start. The Celtics led 61-60 after a pair of Glen Davis free throws with 1:29 remaining in the third quarter. The Nets scored the game's next 11 points spanning into the fourth quarter, and a 21-foot jumper by Sundiata Gaines put the Nets out front 71-61 with 10:40 to play. The Celtics rallied within two later, but the Nets scored the game's final seven points. New Jersey connected on 11-of-25 3-pointers with Williams and Anthony Morrow combining for seven of those triples. On the flip side, Boston made a mere 2-of-10 trifectas, both by Allen. In only his second game back after missing four contests because of a strained patella tendon in his left knee, Davis tried mightily to carry the Celtics to a win. He finished with 16 points and 14 rebounds over 32 minutes off the bench. You were expecting a different result on the tail end of a back-to-back on the road? Boston dropped to 2-8 in that situation (losing six in a row). The bad news: Boston has four more back-to-back finales on the road before season's end. That doesn't bode well if the Eastern Conference standings remain close. (Chicago pulled even with Boston in the loss column atop the conference.) The good news (as always): No back-to-backs in the postseason. Who says you can't put a price on success? The playoff-bound Knicks on Friday announced an average increase of 49 percent for season tickets. CNBC.com reports it is "likely the largest yearly [average] increase in sports history." The team, which has added superstars Amar'e Stoudemire and Carmelo Anthony in the past 10 months, is likely to make the NBA postseason for the first time since 2004. The Knicks have raised season ticket prices once in the past 10 years, and not in the past six. The Rangers will increase their season-ticket prices an average of 23 percent as both teams will play in a renovated Madison Square Garden for the 2011-12 season. The Garden said personal seat licenses (PSLs) would not result from the improvements to the arena. "This will be a new state-of-the-art arena with wider concourses, new seats, better sightlines, and improved social settings,” Scott O’Neil, president of MSG Sports said in a statement. The Knicks already are ranked second in the NBA average ticket price at $88. That figure trails the two-time defending champion Lakers, whose average price is $113, according to Forbes. Knicks season-ticket prices range from $10 (400 level behind basket) to $1,900 per game (courtside). Owner James Dolan had not raised season-ticket prices, sticking by a policy not to not do so when the Knicks fail to make the playoffs. Before the season, the Knicks sold out of season tickets and created a wait list for the first time since 2001-02. 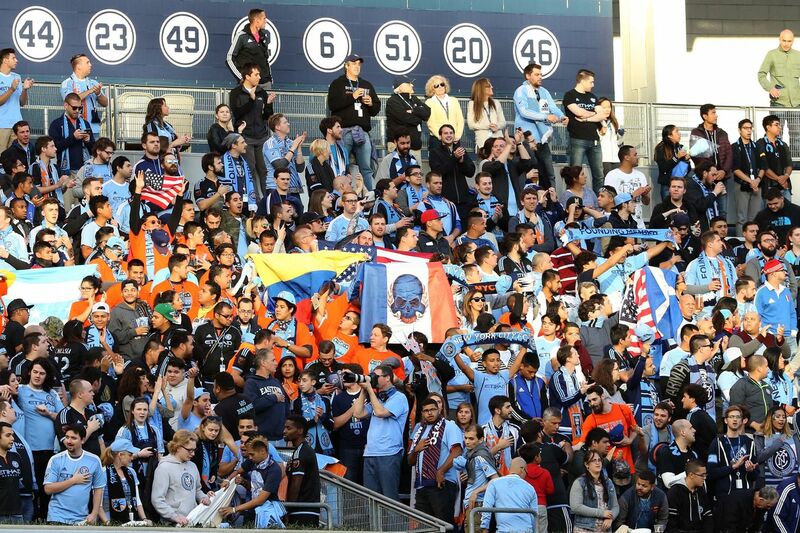 More than 4,000 new season tickets were purchased. The Knicks have sold out all but two games this season (29 of 31) and expect to sell out the remaining 10 home games despite ongoing construction inside the arena. They are playing to over 99 percent capacity. Some new Knicks season-ticket plans will start as low as $10 per game. The Rangers' low point is $39 per game. The Knicks likely will qualify for the playoffs in mid-April. They are eight games ahead of ninth-place Charlotte in the Eastern Conference; the top eight teams make the playoffs. The Rangers have made the NHL playoffs the past four seasons and are in a battle for the final spot in the Eastern Conference this year.